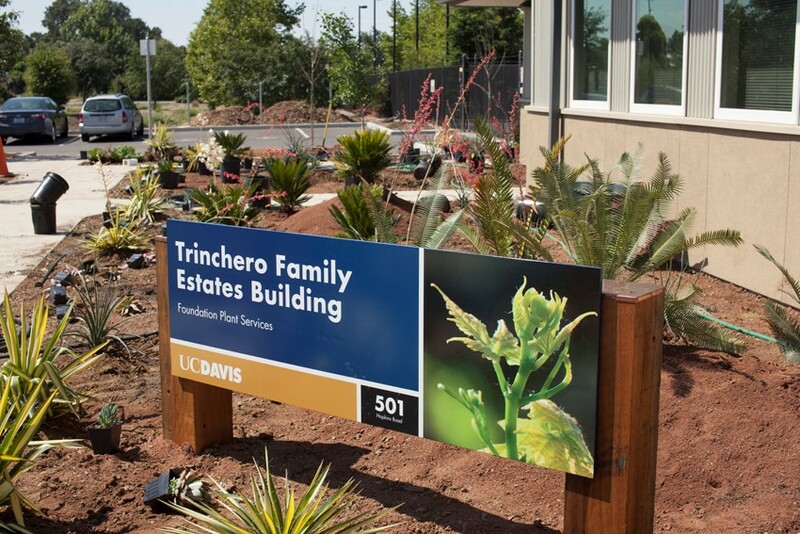 The new FPS Trinchero Family Estates Building will be on the right side of the road. Contractor for shell: D.G. Granade, Inc. Contractor for Tenant Improvements: Carter Kelly, Inc.
Building function: This Trinchero Family Estates Building addition is a stand-alone building of 7,652 gross square feet immediately adjacent to the existing Foundation Plant Services (FPS) building and greenhouses. FPS acts as a crucial link between University researchers and the agricultural industry in applying state-of-the-art knowledge, technology, and facilities to benefit nurseries, growers, and the public. The new building provides administrative space for staff and graduate students, a conference room and a large seminar room which will accommodate the growth of the program and its public outreach. Due to the self-supporting nature of the program, the building was constructed in two phases. The first phase constructed the building shell and site utility improvements and was completed in summer of 2012. The second phase completed the mechanical systems, fire alarm / fire sprinkler systems, tenant improvements and exterior site improvements. 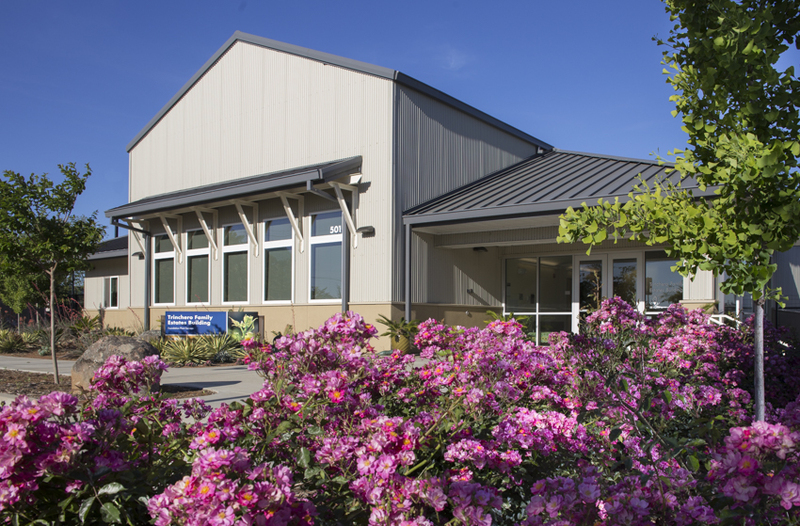 Sustainability: Due to the function of Foundation Plant Services, sustainable landscaping features were of high importance in the development of this facility which is located on the west campus near campus agricultural fields. 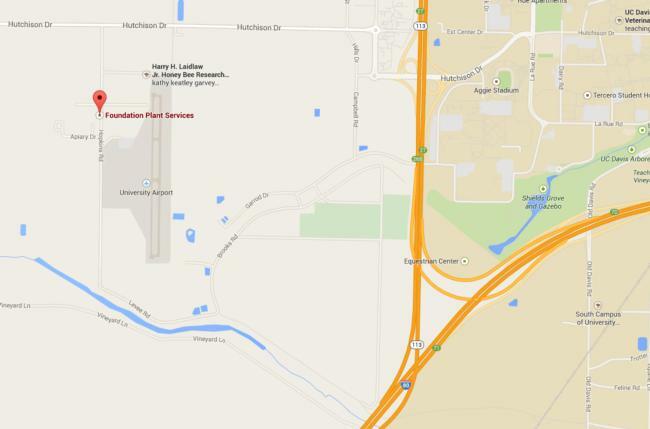 Drought tolerant native / adaptive landscaping was selected and is maintained by the FPS unit themselves. The storm-water retention basin was constructed as part of the first phase and then landscaped with non-irrigated plantings at the completion of the second phase. 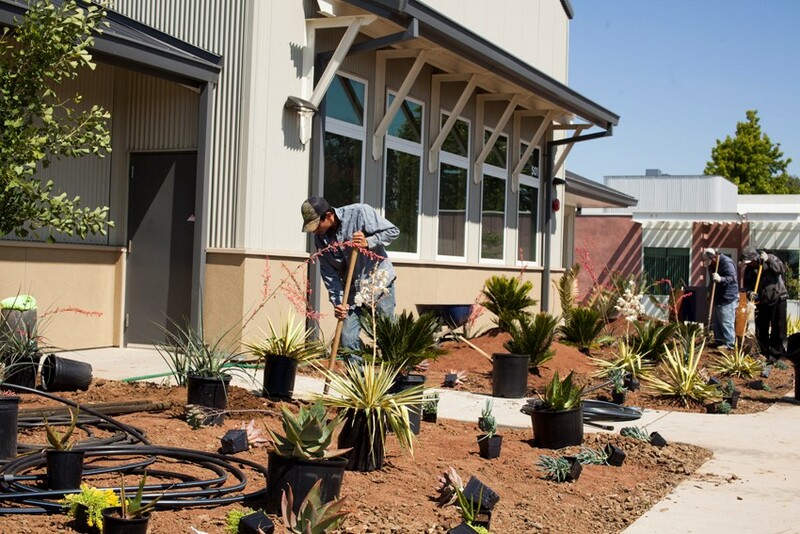 Drought-resistant planting and storm-water management information is frequently a topic of FPS' regularly scheduled industry seminars and included within FPS' support of the 'Your Sustainable Garden' program. Provides water efficiency with 40% reduction for interior use and 75% reduction for exterior use. Exceeds state regulations (Title 24 - energy requirements) by 30%. Exceeds indoor air quality standards with low VOC's and maintenance of the campus smoke-free policy. Facilitates alternative transportation with bike parking and shower availability. Used 20% recycled content in building products and maintains campus recycling policies for operations. Monitor energy usage with UC Davis' Campus Energy Education Dashboard. The project has been certified under the US Green Building Council (USGBC) Leadership in Energy and Environmental Design (LEED) as achieving LEED Silver. Work on the landscape in progress!